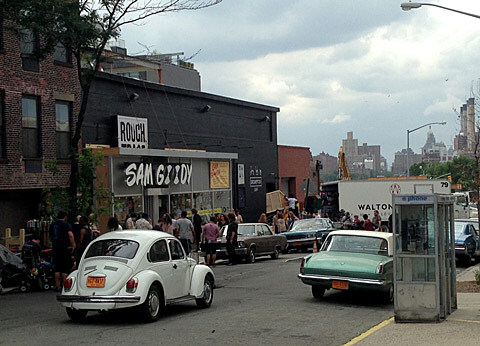 The new HBO drama created by Martin Scoresese, Terrence Winter and Mick Jagger, set in the world of the 1970s NYC music industry, is in production and filming in Williamsburg. 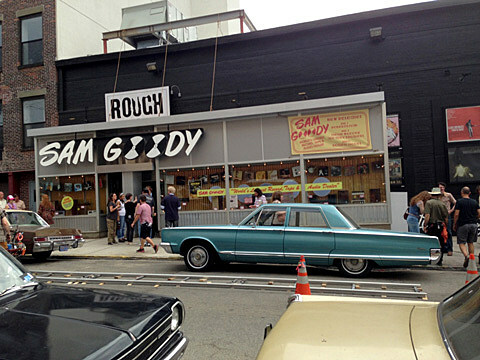 Today they were filming outside of Rough Trade, where they transformed the store into a mid-’70s Sam Goody. 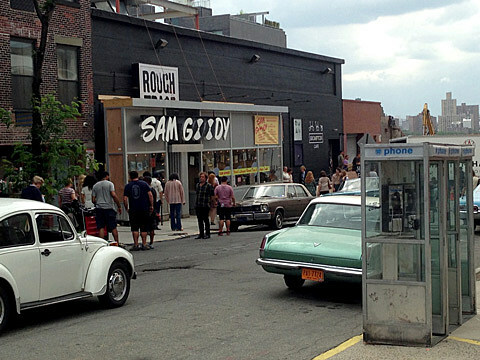 The block of N. 9th St between Wythe and Kent also had half a dozen vintage cars, some old phone booths and a newstand, and there were dozens of extras in Me Decade polyester fashion (surely they were hot in today’s near-’90s and very humid weather). 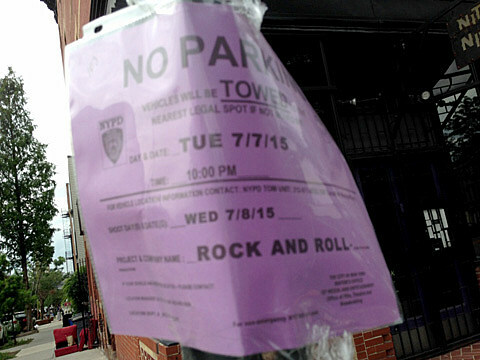 While the show is still untitled, filming signs stapled to street poles simply read “Rock And Roll.” I didn’t see any famous folk, but the show stars Olivia Wilde, Bobby Cannavale, Ray Romano, Juno Temple, Ken Marino, and more, and also features Saint Rich’s Christian Peslak as the New York Dolls’ David Johansen and Connor Hanwick (formerly of The Drums) plays Lou Reed. A premiere date has not been set. A few more pictures from the shoot are below. UPDATE: The show now has a title, VINYL, and will premiere sometime in 2016. 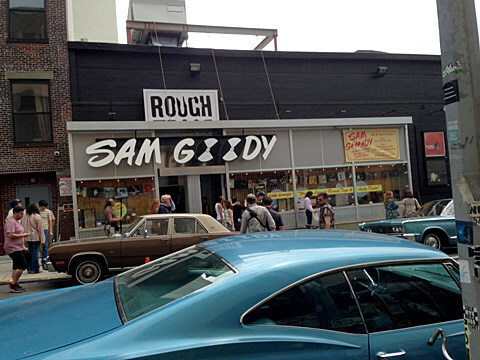 It wasn’t that long ago that Rough Trade was turned into Empire Records.